The event will provide exposure to amazing career opportunities at WeWork, its member companies, and other businesses and organizations looking to hire and connect with veterans. 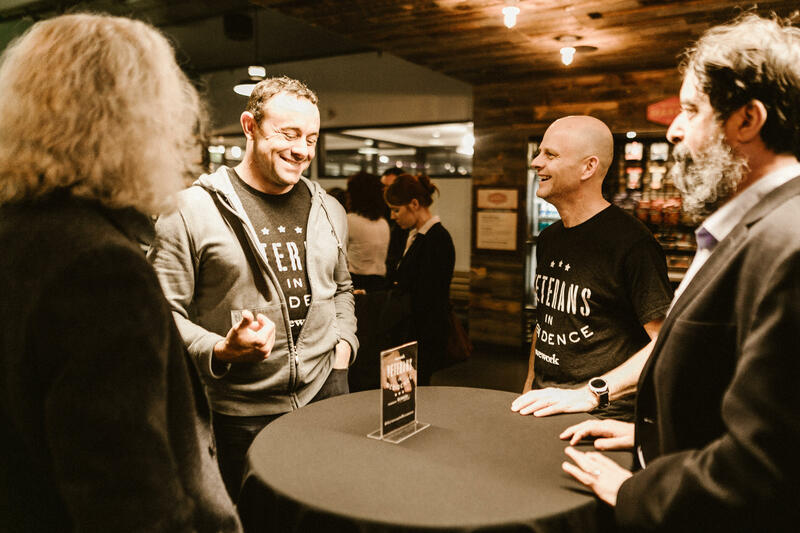 The event represents a larger commitment by both WeWork and Bunker Labs to help bridge the transition gap between the civilian world and the broader Veterans community. Similar events will take place in all 14 of our cities across the country. Vivamus vitae eros erat. Aliquam condimentum tortor nisi, eget vestibulum sem ultrices eget. Nunc a tellus venenatis, rutrum leo vel, cursus ante. Etiam vel augue consequat, facilisis mauris quis, cursus nisi. Morbi vitae gravida dolor, eget eleifend elit. Cras et arcu eu ex gravida dictum. Curabitur consequat vitae dolor vel ultrices. Morbi eros dui, vehicula vitae vestibulum vitae, faucibus aliquam arcu. Curabitur sed tincidunt urna, et aliquam elit. Maecenas ut dui mauris. Ut id sem erat.